Pioneering the Community Development Project and initiatives with the Capital City of Cambodia, Phnom Penh. 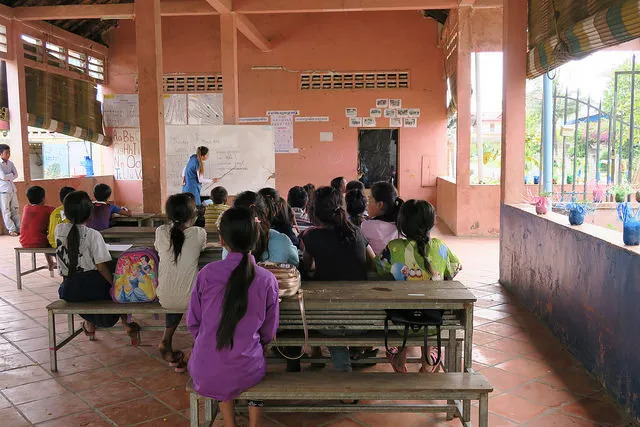 Immerse yourself in splendor and local community of Phnom Penh, Cambodia’s capital city, while working toward developing projects that aim to improve the lives of the local community. You will be getting involved in laying the foundations of the Community Development initiatives such as the foundations of women’s empowerment and community workshops, basic literacy programs, health and life-skills programs and environmentally friendly construction projects as well. This new project requires participants to have a spirit of a pioneer to create and build sustainable projects and resources that will be the foundations of the Community Development program. The duration of this program ranges between 6 to 12 weeks. Please contact us for more details. Visit the idyllic setting at the meeting of the Mekong and Tonlé Sap rivers.